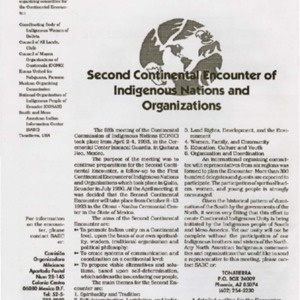 The purpose of the fifth meeting of the Continental Commission of Indigenous Nations (CONIC) was to prepare a list of the group's aims for the Second Continental Encounter. 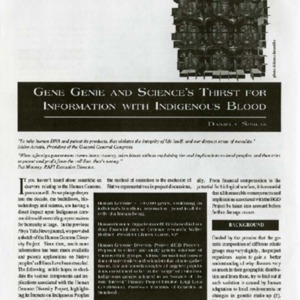 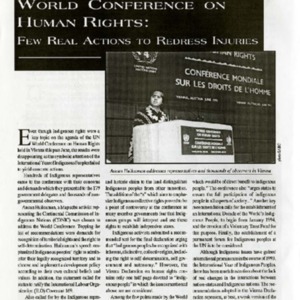 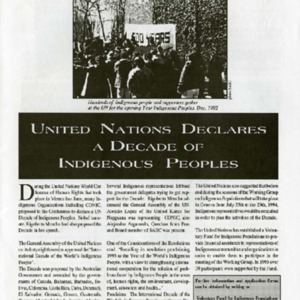 Results of the United Nations World Conference on Human Rights in Vienna, June 1993 disappoint indigenous populations with failure to address indigenous rights of self-government and self-determination. 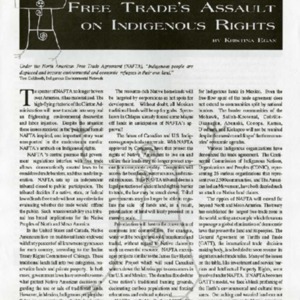 A summary of the process and support that led to the establishment of the "International Decade of the World's Indigenous People" during the United Nations World Conference on Human Rights that took place June 1993.